KiteCoaching in Fuerteventura. Advanced kitesurf lessons. Improve your Wave + Strapless + Freestyle navigation skills in a progressive and personalized way. Safe, fun and progressive training with Radio and Video Coaching. Our advanced Kitesurfing Lessons will allow you to learn and progress in different navigation styles. We specialize in custom Strapless, Waves and Freestyle training. Enjoy an exclusive and customized training that includes on-site radio communication and after session video analyzing. Progress at your own pace. Private courses or groups of 2 riders. Radio Coaching with 2-way radio communication by BBTalkin. Optional video analysis after each session. 2 riders/inst. 2&1 Price p/p. 300€ 250€ 2 5 1 video analysis incl. 420€ 350€ 3 8 2 video analysis incl. Instructor guidance & tracking both outside and inside the water. Live direct communication between student and instructor. Video Analysis and debriefing of the maneuvers performed during the first water session. Video Analysis and debriefing of the maneuvers performed during the first and second water sessions. CASA NORTE: The KiteSurfer Home in Fuerteventura. You will be staying in Casa Norte, a typical Fuerteventura Villa located in Villaverde and just 15 minutes away by car from the best kitesurfing spots in the Island and Corralejo. Our Camp is perfect for those who want to enjoy kitesurfing and the tranquillity of Fuerteventura´s countryside. Casa Norte also offers daily Yoga and Functional Training in its own Fitness Studio. Would you like to add YOGA or FUNCTIONAL TRAINING to your KITESURF CAMP? 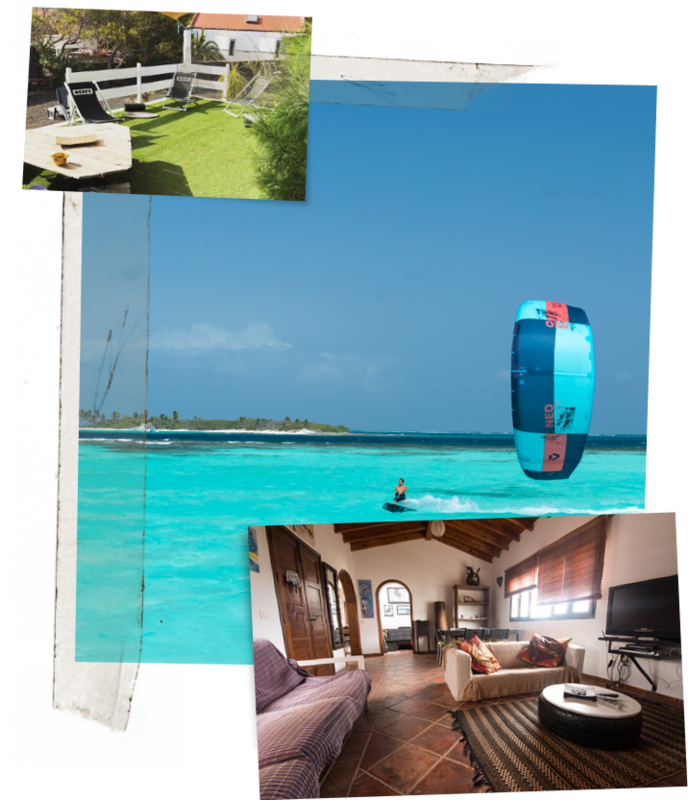 We offer YOGA and FUNCIONAL TRAINING for Kitesurfers in our own Fitness Center just next to CASA NORTE. is located in the perfect spot in Fuerteventura! Casa Norte is a typical Villa and is set in the beautiful countryside of Villaverde, offering tranquil escape in nature. 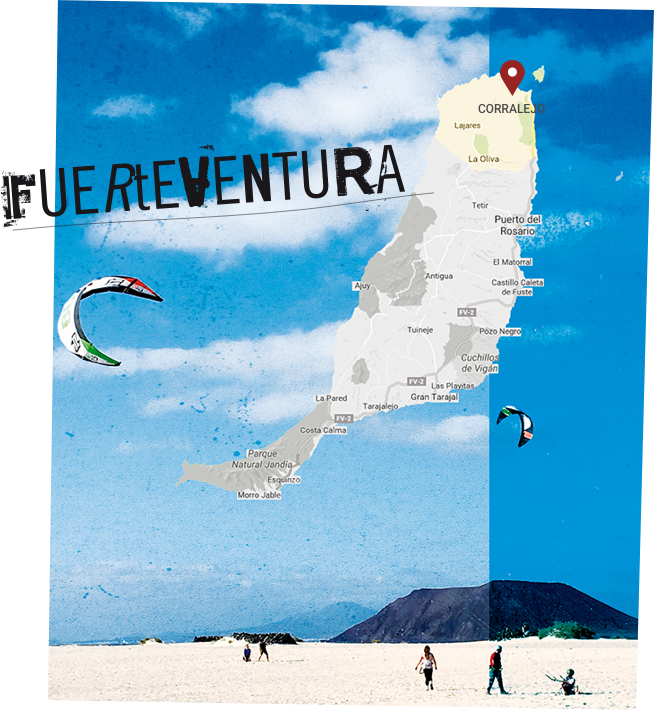 Just 15 min by car away from the best kitesurf spots of the Island and the lively tourist town Corralejo. Casa Norte offers its own Fitness Center with Yoga and Pro Training. Sign up and get the latest Kitesurfing & Surfing tutorials, tips, news, events and much more straight into your inbox.